If my Mom of blessed memory were still alive today, she would tell me to run out the to store to purchase heavy sweaters and an extra-warm winter coat. In fact, after reading this story she would issue a major "Jewish Mother Sweater Alert" - all because there is new scientific study using solar activity to predict the earth is heading toward a mini-ice age within the next fifteen years (please stop crying Al Gore). The "Maunder Minimum" is the name used for the period starting in about 1645 and continuing to about 1715 when sunspots became exceedingly rare and temperatures plunged. Prof. Zharkova's study is corroborated by other recent studies. For example, Vencore Inc. - which has worked closely with a number of government agencies on weather-related projects including NASA, NOAA, Naval Meteorological and Oceanographic Command, Naval Postgraduate School and the Intelligence Community - predicted in May that the extreme lack of sunspot activity may be an indication of a major cooling period for the Earth. Not since cycle 14 peaked in February 1906 has there been a solar cycle with fewer sunspots. We are currently more than six years into Solar Cycle 24 and the current nearly blank sun may signal the end of the solar maximum phase. Solar cycle 24 began after an unusually deep solar minimum that lasted from 2007 to 2009 which included more spotless days on the sun compared to any minimum in almost a century. The smoothed sunspot number (see above) for solar cycle 24 reached a peak of 81.9 in April 2014 and it is looking increasingly likely that this spike will be considered to be the solar maximum for this cycle. This second peak in the cycle surpassed the level of an earlier peak that reached 66.9 in February 2012. Many solar cycles are double peaked; however, this is the first one in which the second peak in sunspot number was larger than the first peak. Going back to 1755, there have been only a few solar cycles in the previous 23 that have had a lower number of sunspots during its maximum phase. The Vencore and Zharkova predictions echo a paper written by Russian scientists in 2013. They used sunspot activity to predict we are heading for a "mini ice age." The German Herald reported on March 31, 2013 regarding Russian scientist Dr Habibullo Abdussamatov from the St. Petersburg Pulkovo Astronomical Observatory, “Talking to German media the scientist who first made his prediction in 2005 said that after studying sunspots and their relationship with climate change on Earth, we are now on an ‘unavoidable advance towards a deep temperature drop.’” His colleague Yuri Nagovitsyn is quoted in The Voice of Russia saying, “we could be in for a cooling period that lasts 200-250 years.” Skepticism over the theory of catastrophic anthropogenic global warming is increasingly embraced in China and elsewhere in Asia as well. These reports are nothing new; back in 2009, there were reports of a coming Ice Age which were ignored. 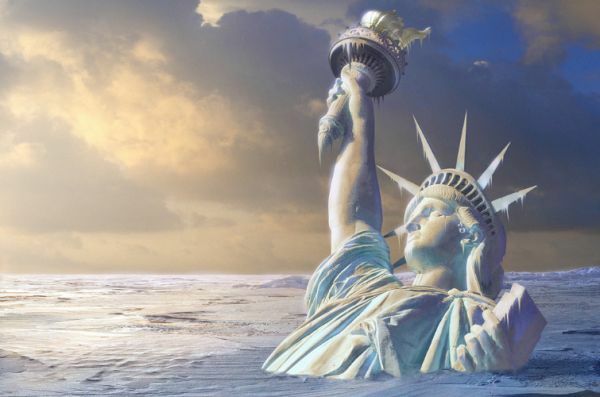 Scientific reports of a coming Ice Age are a blow to those predicting global warming is soon going to kill us all. Not only are these reports being made by respected scientists, it provides a possible explanation for the global warming pause that has now reached eighteen years and six months. If the low sunspot activity is moving the world toward a mini ice age, then the higher sunspot activity of two decades ago may have lead to the higher temperatures which gave credence to the warming hypothesis. These studies also deal a significant blow to the already damaged theory that 97% of all scientists buy into the global warming hypothesis. At the very least, when evaluating these reports, it may be a good idea to go out and purchase heavy sweaters and a extra warm winter coat. Unlike the proponents of the global warming theory, my mother was rarely wrong.